I’m not even slightly ashamed of the cheese involved in the title. It works! 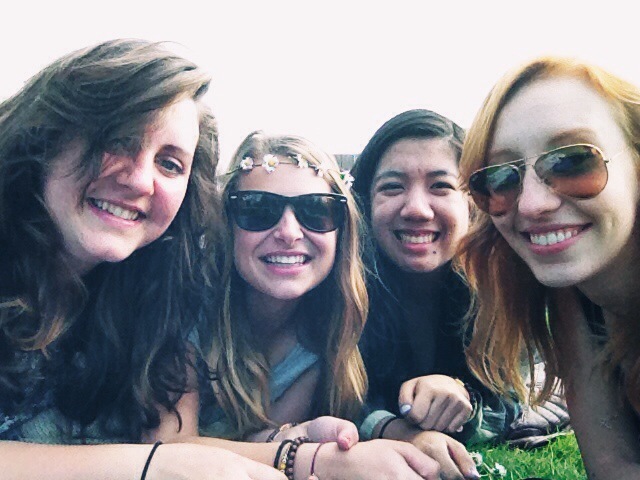 This weekend, 3 friends from Hockaday (and just best friends in general) came to visit me. We had been anticipating this trip since January, when Andrea, Alison, Sarah (who I will refer to as Skee from now on) and I would all be reunited. And I was so happy they chose Amsterdam as the place! I’d say this round of visiting was different from visitors I’ve had in the past. We all just wanted a break from our hectic study-abroad lives, a time to just be ourselves, relax, laugh uncontrollably, and decompress. So as I sit in my bed on this Sunday, eating “drop” (licorice) and avoiding the ones with thyme in them, I’ll give the highlights of the weekend. I picked up Andrea and Skee from central station on Friday morning, which was unfortunately grey. The past week had been absolutely beautiful, so I was very confused why winter had decided to return! After excusing the weather on behalf of Amsterdam, we went to my apartment then to get some coffee and wait for Alison. It was so nice to have a group hug and didn’t feel any different between us. We walked down the street to Cafe Walvis for lunch, a neighborhood favorite. We all got broodjes (sandwiches) and even some bitterballen to start the weekend off right. After taking some time at my apartment, we headed to Museumplein so the girls could check out the Van Gogh museum and I could sit an admire the grey outdoors. 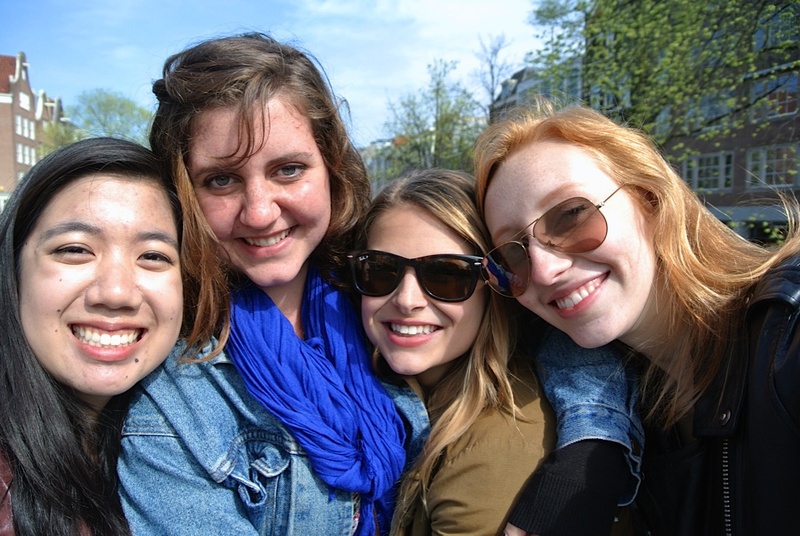 We were hanging by the I Amsterdam sign and saw Carrie, a fellow hockadaisy that none of us had seen since graduation! She’s studying in Seville, and was visiting for the weekend as well. I had forgotten my phone, a rarity, so I don’t have any of my own pictures from that day. We walked to De Pijp afterwards, and went to the Albert Cuyp market for fresh stroopwafel with chocolate covering half of it. I had heard about the yumminess which is fresh stroopwafel, and this was the perfect afternoon snack. 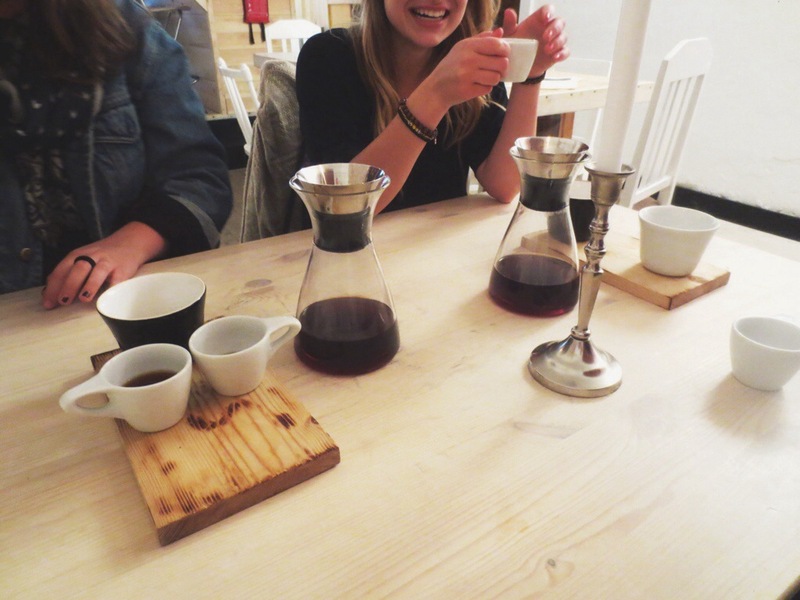 Afterwards we went to Scandinavian Embassy, a coffee place on my bucket list, and enjoyed a few cups. We also cooked a nice dinner together that evening, explored the Red Light District, then grabbed a drink at the ever-cute Cafe het Schium on Spuistraat, where umbrellas hung from the ceiling and enjoyed a super sweet disco vibe. Throughout the day we were reminiscing and laughing and enjoying ourselves. 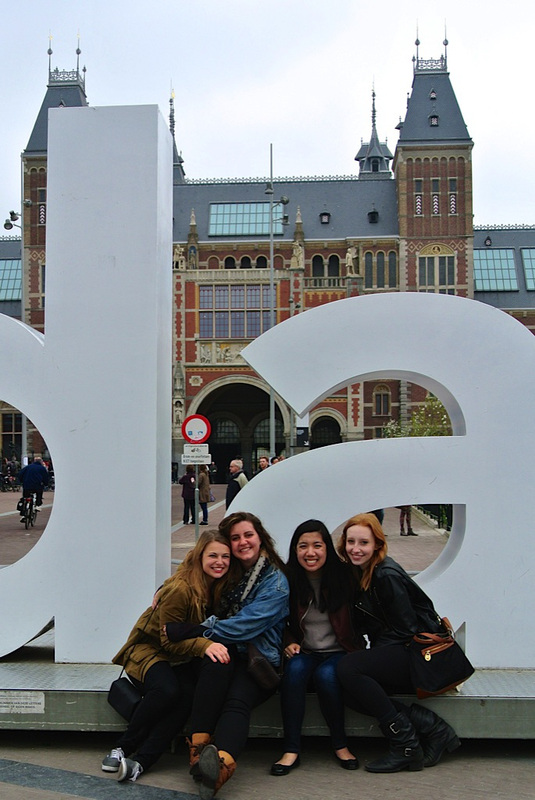 We saw a TON of Amsterdam, and I was happy to not be bogged down by schoolwork, so I could enjoy myself too. I still can’t figure out if something significant was happening in the city or if tourist season has just officially started, because the streets were PACKED on friday night. This might also be because I don’t frequent the Red Light District on Fridays or Kalverstraat on Saturdays and never see the groups, but it was so overwhelming! Oh well, I’ll just keep enjoying my little neighborhood. Saturday was a huge day for the girls but it actually passed incredibly slow. 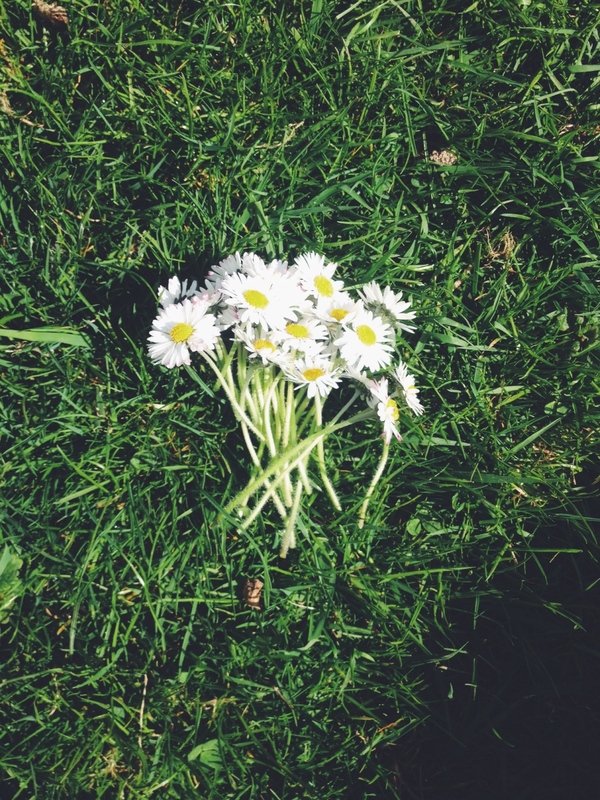 This was so nice, as we fit in everything we could have wanted to. They trekked off to the Anne Frank Huis while I stayed behind and met them there a little later. We then went to Pancakes! for a big breakfast. While there, the sun started to peek out and the day transformed into something out of a dream! It got really warm and happy, just for us. 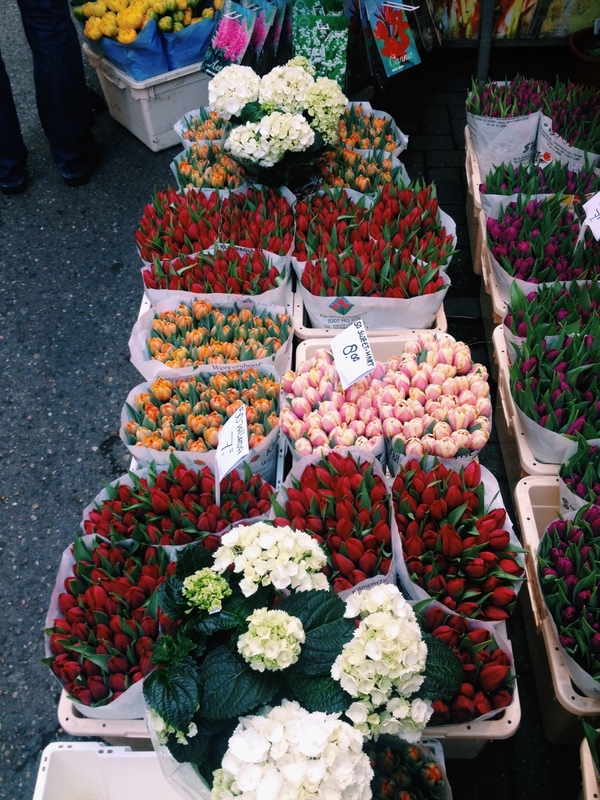 After a canal photo shoot, we walked around the nine streets, picked up matching bracelets from Young Label Atelier and then headed to Bloemenmarkt, the flower market. I had actually never been. 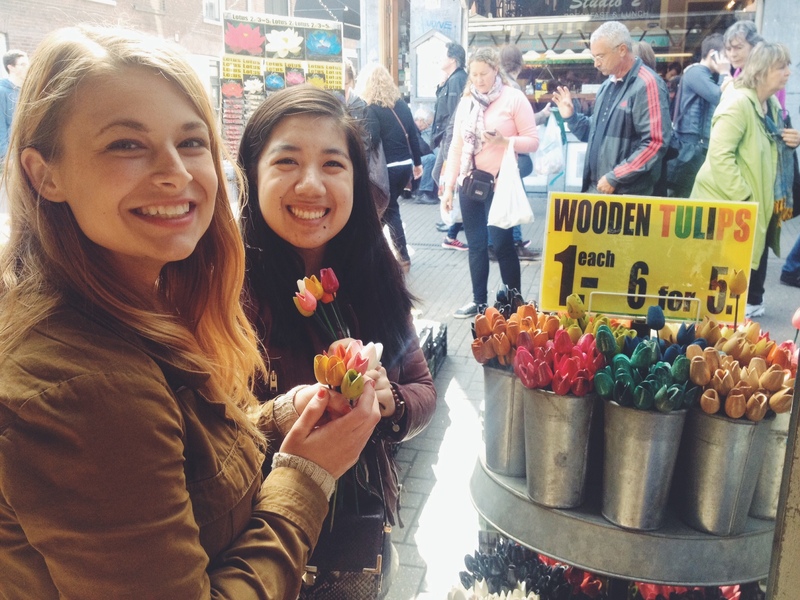 Alison and Andrea bought cute wooden tulips there, but the real flowers looked nice too. 2/3 girls at the flower market! We headed to East Amsterdam where I dragged them into Jacob Hooy & Co, a somewhat holistic store that sells tons of licorice. 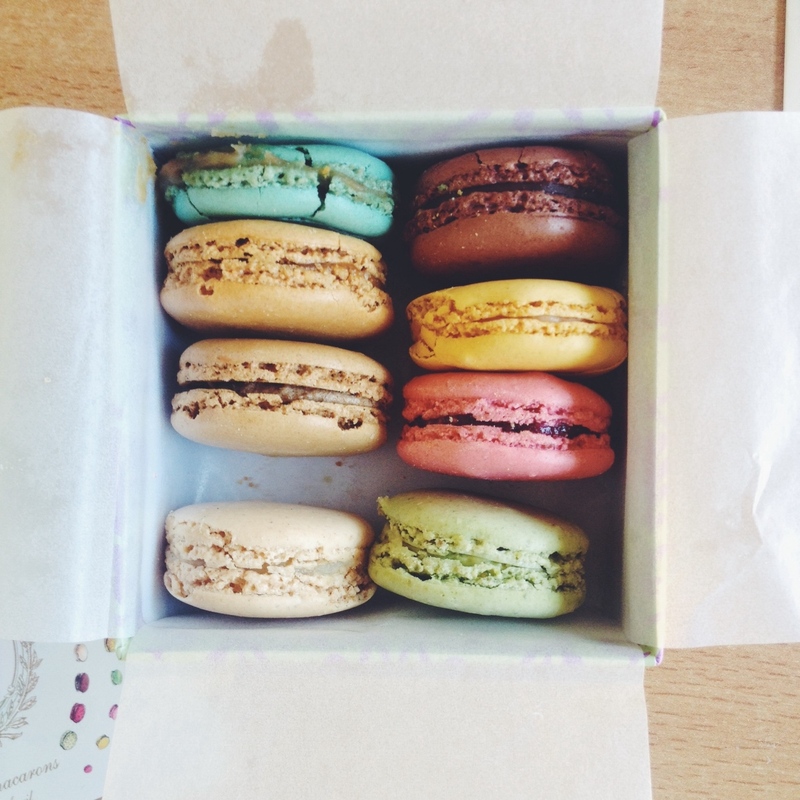 We all tried some and the girls tried to be nice about the taste. I still picked up a little bag, and for the most part it was yummy. To get that taste out of their mouths, I took them to Ijschuypje, the best ice cream chain in Amsterdam, and we explored Nieuwmarkt. Since it was a beautiful day, we walked all the way home, down my favorite Haarlemmerdijk, and then camped in Westerpark for a while and enjoyed the sun. 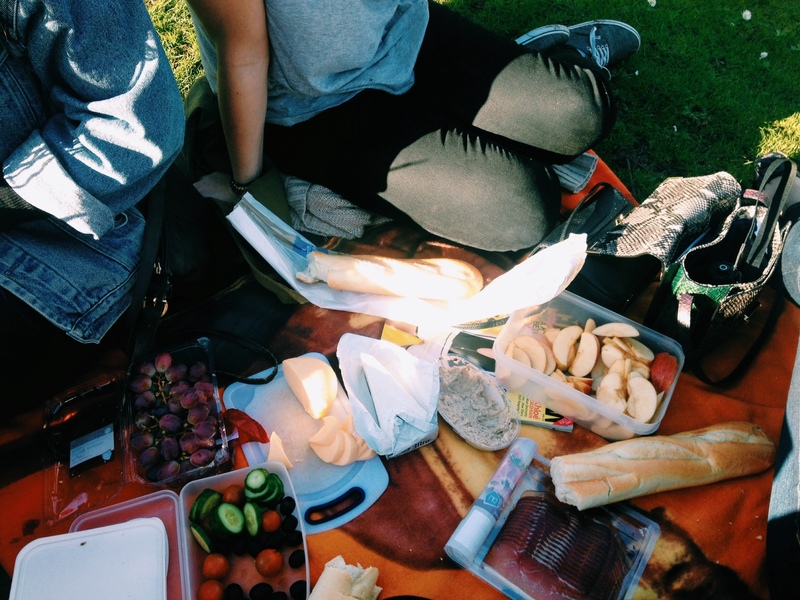 We decided that a picnic for dinner was the best option, and gathered yummy food from the grocery store and headed down to Vondelpark. It was also incredibly busy, probably because it was a Saturday and the weather had taken a turn for the better. We ate good food, laughed, watched birds, saw ducklings, and then trekked back. The girls had to get up early for their flight, but we still went to Bloemenbar and got Vlaamse fries afterwards. It was a long, but perfect, day. Perhaps the silliest part of the trip was remembering that we will all be seeing each other this coming weekend in Barcelona. That made our trip light-hearted, knowing this wasn’t goodbye for a few more months. I can’t describe how nice it was to be with such great friends and able to discuss all of our times abroad after coming from the same place. What a great weekend! 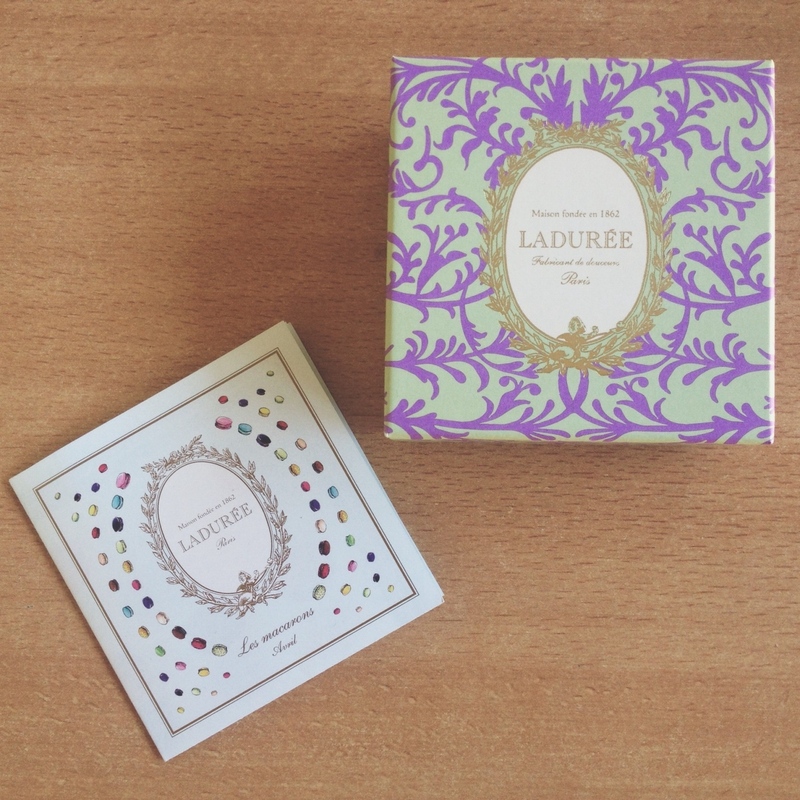 For added fun, here are the macarons Alison brought from Laduree, a famous bakery in Paris! thanks for the best weekend, lily!! !